RTÉ and Northern Ireland Screen have announced the commission of four new original dramas for the new season of Storyland, the award-winning commissioning project that gives emerging Irish drama talent an opportunity to make original programmes, viewable to a global audience on RTÉ Player. More than two hundred aspiring and experienced drama production teams applied this year. 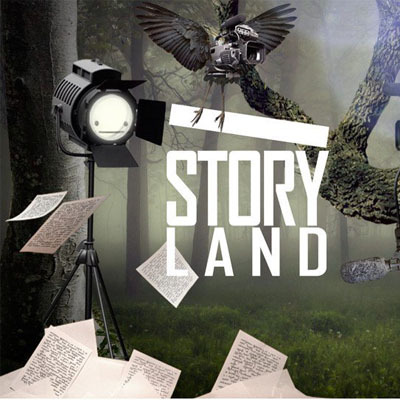 For the seventh series of Storyland, RTÉ and Northern Ireland Screen have commissioned four single dramas of up to twenty minutes duration, which will be shown later this year to national and international audiences on RTÉ Player. From the story of a Kurdish refugee arriving by truck to Ireland, to a mixed-race girl struggling with her identity in 1980s Belfast these dramas tell diverse, new Irish stories. The four production companies who have been awarded the commissions are: Lacada Entertainment, Tyrella Films, Afro-Mic Productions, and Treasure Entertainment. Starring Eileen Walsh as Martha and Cathy Belton as Sheenagh. Produced by Barbara Healy for Tyrella Films, written by Oonagh Kearney and directed by Oonagh Kearney. Having lost his job after his factory closed, Dad, Daniel, is now seemingly devoting himself to the church. When his wife Shauna agrees to let a racy cabaret bar pay to advertise on the side of their house, a family showdown ensues. Produced by Emma-Rosa Dias for Afro-Mic Productions, written by David McCrea and directed by Imogen Murphy. A Kurdish political activist flees Iran and arrives by truck in Ireland. But the asylum system overwhelms him and he resorts to desperate measures to have his voice heard. Produced by Claire McCaughley for Treasure Entertainment, written by Colin Murphy and directed by Vincent Gallagher.